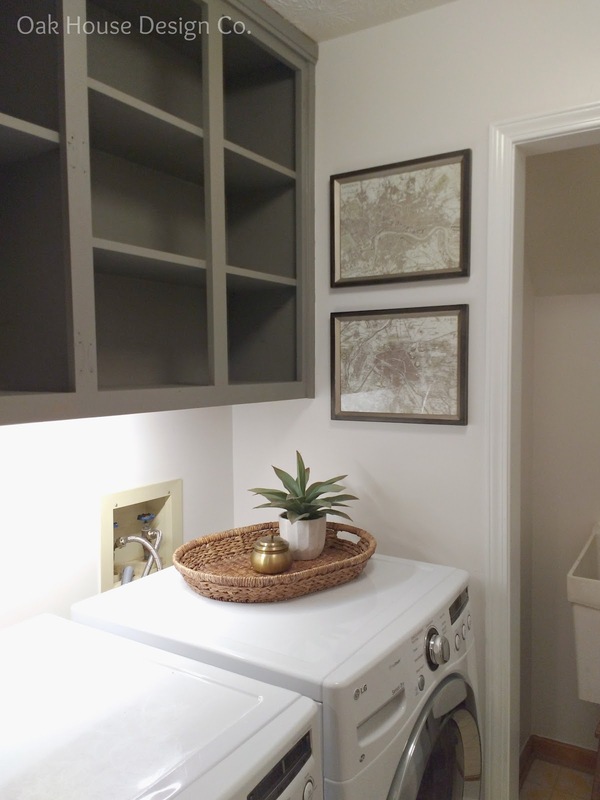 Renovations at The Oak House- The Laundry Room - Oak House Design Co. I painted this room when we first moved from head to toe. But I recently found a little mini throw rug at Homegoods that really elevated the space. 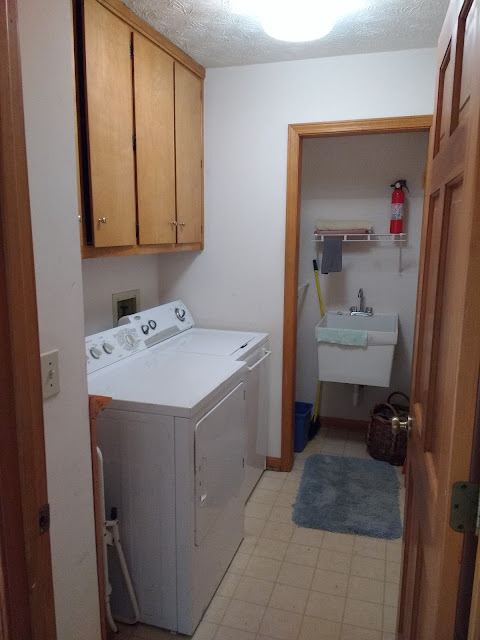 This room has so much potential, right? 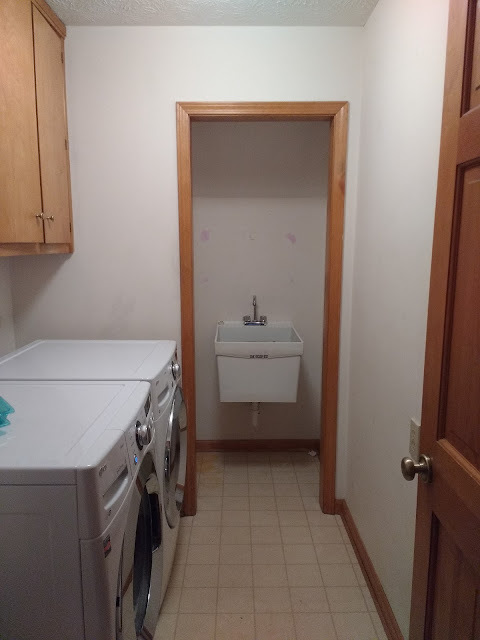 I love the fact that it had 42" cabinets and a utility sink. I started with taking down the little shelf over the sink. Next up was painting the walls, cabinets, and trim. Even after painting, a little decorating can go a long way. The rug lent a bohemian vibe, and I added a gold framed pinboard and wood frames to compliment it. Still up is to replace the flooring, but it's so much better than before! Can you tell me about the pin board? Did you make it? Buy it? I love it!